Stephen Colbert like you've never seen him before! We love a good celebrity throwback photo, and reddit user ArtieStation gave us one for the books over the weekend. Posting in the /r/OldSchoolCool subreddit on Saturday, the user shared an incredible photo of "The Late Show" host Stephen Colbert from 1984 -- and it's amazing! 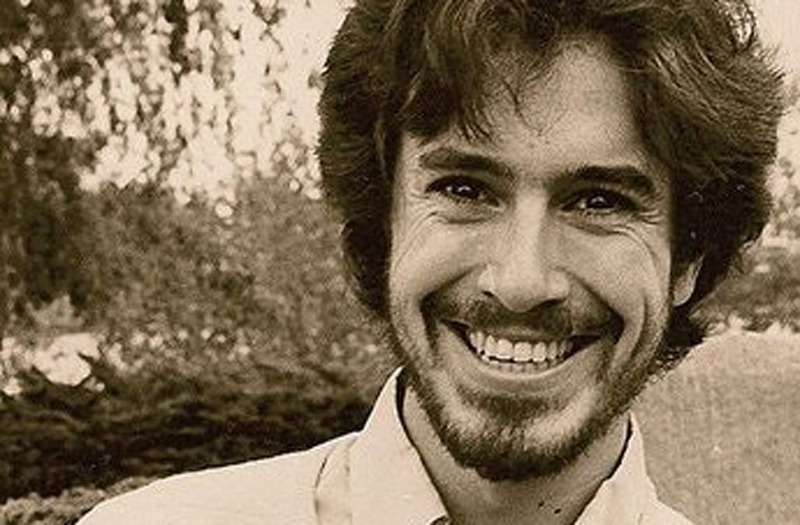 The sepia-toned photo shows Colbert smiling ear-to-ear with a growing beard and a full head of picture-perfect hair. Colbert was born in 1964, so the snap -- if actually from 1984, as the post alleges -- would put the popular comedian at around 20 years old. Fellow reddit users were quick to share their infatuation with the dreamy picture, too. "Why is Stephen Colbert perfect? Smart, funny, handsome, and dog owner too?!" someone mused. Other users took the opportunity to question how to manage a full head of hair. "Seeing old pics like this make me have hope I will one day figure out what the f-ck to do with my hair," one person wrote. "If your hair looks like this, don't do anything with it. That looks like some delicious, let-me-run-my-fingers-through-it hair," someone responded. As incredible as this new throwback of Stephen Colbert is, we still think he's quite the looker now at 53.